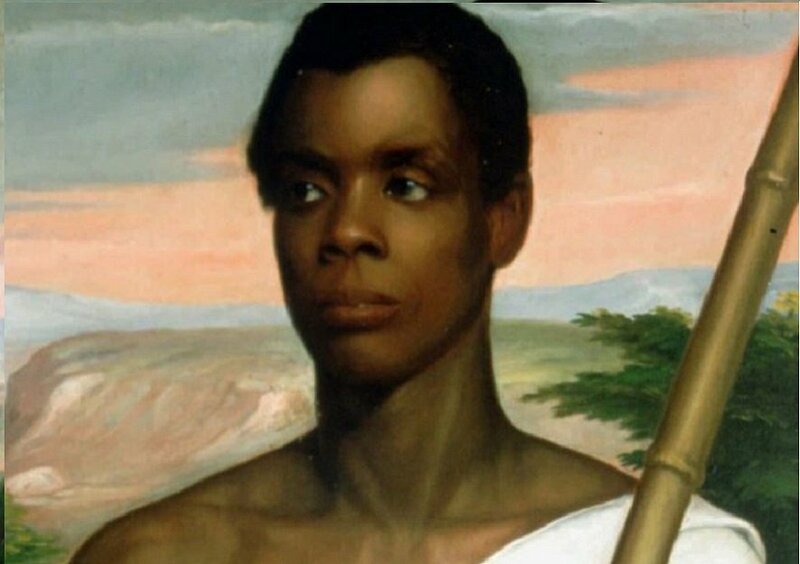 Sengbe Pieh was an African slave who led an uprising on the Spanish slave ship, La Amistad. The ship was later confiscated by the United States Revenue Cutter Service. Later Pieh and the other slaves involved in the revolt were put on trial for the death of two officers on the ship. The case was famously known as United States v. The Amistad. Pieh was born in 1814 in modern-day Mani, Sierra Leone; he was a member of the Mende tribe. His exact date of birth is unknown. He was a married man with three children. He worked as a rice farmer. In 1839, Pieh was illegally captured by African slave traders and sold to a Spanish master named Pedro Blanco. The international slave trade was prohibited at the time. He was transported to Havana, Cuba aboard a ship named Tecora. Upon his arrival, he sold again this time to José Ruiz and Pedro Montez. 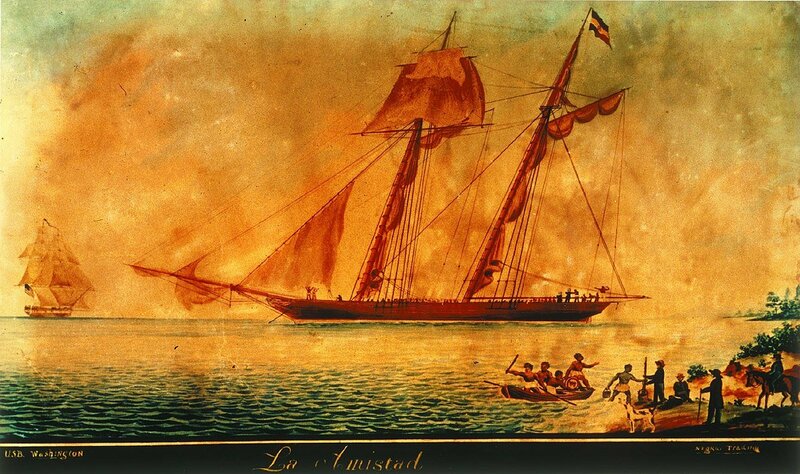 Montez and Ruiz then put Pieh on The Amistad where he was to be sold again on the coasts of Cuba. At some point, Pieh was renamed, Joseph Cinqué. On June 30, Cinqué led an uprising that resulted in the death of the captain and the cook on the ship. Two slaves died and two sailors fled. Montez and Ruiz were held captive. Cinqué and the other slaves demanded the ship to be redirected back to Sierra Leone. Instead, Montez and Ruiz instructed the navigator to steer towards the Americas. Two months later, the ship arrived in Long Island, New York. Members of the USS Washington embarked the ship. When Ruiz and Montez gave their version of events, the slaves were charged with mutiny and taken to New Haven, Connecticut where they would stand trial. During the trial, Cinqué served as the slave’s informal representative. Montez and Ruiz claimed that Cinqué and the rest were already slaves when they were sold in Cuba. Mende interpreters translated the testimonies of the slaves. The verdict was in favor of the group of slaves. The case was then appealed to the Supreme Court of the United States. In March 1841, the Supreme Court found that the group revolted after being illegally enslaved. The court ordered that the slaves be freed and could return to Africa if they wanted to. President Martin Van Buren protested the verdict because he was afraid that it would strain relations between the U.S. and Spain. In 1842, Cinqué and the rest of the group returned to Sierra Leone. Due to civil war, Cinqué left and traded along the coast. Accounts differ about the happenings of his life thereafter. 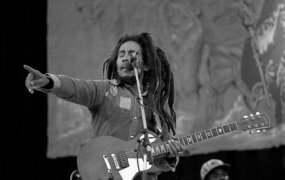 Some speculate he left for Jamaica, while others said he became a merchant who sold slaves. Author William A. Owens and historians Howard Jones and Joseph Yannielli also support the notion that Cinqué and the other slaves also started working in the slave trade after they returned to Sierra Leone, due to economic hardship. In 1997, the film Amistad was released, which illustrated the uprising and trial of the slaves. Pieh’s image is displayed on Sierra Leone’s 5000 leone banknote. He is also venerated in a statue outside of the city hall in New Haven and a golden sculpture located outside the Old State House in Hartford, Connecticut.